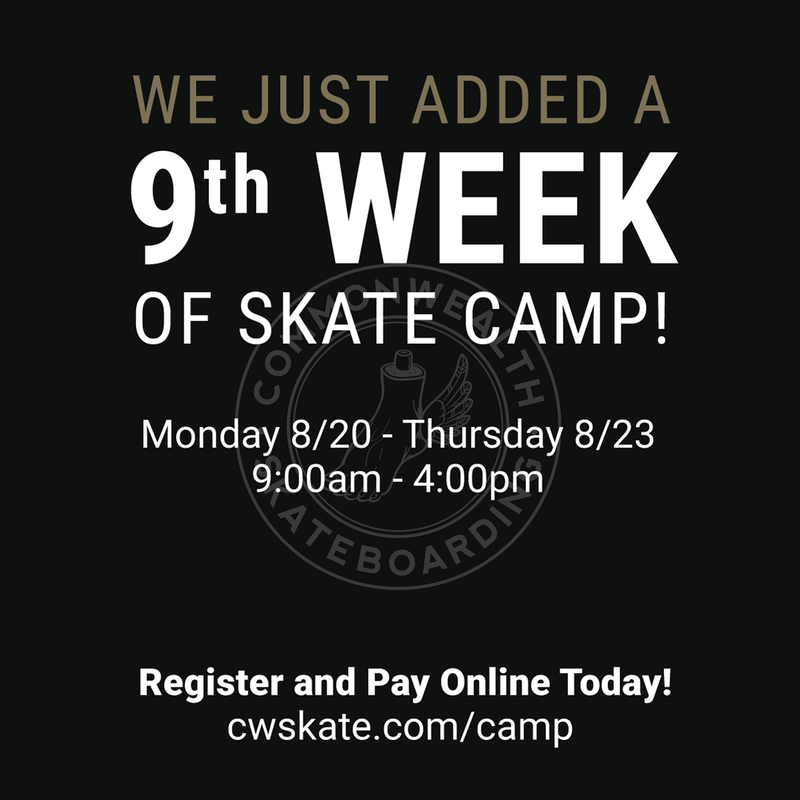 Due to high demand we just added a 9th week of our Summer Skate Camp! 8/20-8/23. Space is already filling up fast, register online today!